You are good to the world and you write well. I quite like you. I’ve been donating to the Worldbuilders fundraisers for 4 years now (ever since I learned about it). This is the coolest fundraising event i’ve ever experienced. 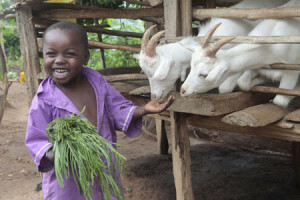 You’ve given me the opportunity to buy goats, llamas, chickens, bees, and other cool stuff to help out people in need. (I confess, how freaking cool is it to say “Yeah, I once bought a llama.” It’s a great line at a party!) Also, your mental health streams have been pure gold. I struggle with depression and anxiety and hearing from you and other successful people about your own struggles and solutions is VERY encouraging. Anyway, point is, you are doing great work. It’s so awesome that you use your platform to promote such positivity in a world that seems a bit dark these days. You are a bright star that gets me through the darkness. Thank you sir! Wishing all the best of the Holiday season to you, Sarah, Oot, and Cutie. And also to the rest of the Worldbuilders team! Every year for the last three years, I donate in memory of my twin boys. They were born 5 years ago this January and lived for 2.5 hours. I donate what I wouldve spent on them for Christmas in hopes that it helps children that are here and are in need. Thank you for starting and continuing this charity so that I know my boys are never forgotten and that they do good deeds! I am so deeply sorry to hear about your boys! I send thoughts and hugs your way, and marvel at the strength it takes to do what you are doing. Thank you for sharing their memory. Know that I will dedicate my final donation of the year to them as well. Oh Lauren, I’m so sorry. Thanks for being one of the good ones. It’s amazing how a book can bring about such an amazing community of people doing good things. I commend you, sir, on your work you have done to create a fundraiser that is honest and doing real good around the world. I donate every year. I honestly look forward to the fundraiser because I don’t do as much as I should during other times. For Worldbuilders, I imagine a family receiving their animals or seeds or water and it lifts me. I can’t imagine being without the way some people in this world are, so knowing that this helps a family find a way to start a new life is incredible. Thank you for all you do! This was my first year to donate to WorldBuilders. My husband and I decided to dontae this year, instead of spending money on ourselves and purchasing items our families may or may not like. We have given to WorldBuilders and adopted a foster child, from our community to supply with clothing and food and a toy or two. I say with absolute certainty that we will be spending our “Christmas money” this way every year going forward. To know we are helping others, feeding and clothing children, there is no greater peace that I have ever felt. There’s no feeling like it, is there? I was able to thank you for your charity work in person this weekend in Philly, and proud to say it again — thank you for doing this. I love donating to Worldbuilders. I work with International students at a mid-Atlantic university, and I have the great privilege to meet and guide a large number of students who come from over 100 countries. Many of them have incredible financial and personal stories of how their families have worked hard to send them here. Many are the first in their families or towns to attend school in the United States. When I give to Worldbuilders, I know I am supporting my chosen field (international education) in a small but meaningful way. I like to imagine that the goat that I buy will eventually lead to a member of their family or town to study in the United States, and perhaps even crossing paths with me at my own University (I do plan to be doing this for a long time, as my work gives me great joy). Thanks again for doing so much good for the international community. There are a lot of things to like about Heifer. Like how they help places here as well as places out across the sea. And having my little bit add to others’, giving a real chance for folks to improve their life? So Cool. Thank you for Worldbuilders. When THE fundraising is not, I can still go to the market and find cool stuff AND help the world get better. I started supporting Worldbuilders way back in the day by knitting little Jayne hats as prizes! Never did I imagine that this charity would reach so far and wide. It is such a pleasure to see the smiling faces of those families that are being helped and see how they care for their animals. Thanks from the bottom of my heart for saving lives! Your dedication is inspiring! Best wishes to you and your sweet family. Pat – I first donated to WB ten years ago as a poor college student, and in the years after that as a VERY poor law student. Back then, your books and your blog were the only thing I could physically stand to read after spending my days and night studying, and Worldbuilders gave me so much inspiration and hope – much needed during the recession that hit right as I was graduating. Not gonna lie. I thought I was f*ked at that point haha. Like other people of my generation, I’m still drowning in student loan debt, but I actually love my job and feel like I make a difference in my community. I have an 8-month old baby girl, and somehow that makes this year’s donation feel even more important. I think about what I would do to make sure she was fed and healthy and whole, and I honestly feel myself transforming into a crazy monster. Anything. ANYTHING. Thank you for giving us all the oppportunity to help each other. Pat – this is the second or third time I have donated here (I cant’ recall if I did last year or not) and it’s about the only charity I regularly donate to, and it’s entirely your fault. I’m generally not overly giving, when it comes to money, and I’m not sure what manner of Jedi mind tricks you employ, but you’re one of only two people who genuinely make me want to be a better person. (The other is Taliesin Jaffe, so you’re in good company). I tend to feel massively uncomfortable putting myself forward and doing soemthing new, and good, but you manage to break through to my cold dead heart and make me actually feel good about helping people. I impulsively decided to donate in honor of my young nieces, but still am also going to get them Christmas Presents. I wrote them a letter that my brother will give to them when they are older, telling them what I wanted them to understand this year- that it is so important to give to other people. My young nieces are already incredibly loving kids, and they will learn how to give to others when they get older. This is my first year with a real job, and I wanted to make a (small) difference. Well, this year was my first time donating…I found your work through D&D podcasts and then found Worldbuilders through your Twitter, and in reading up on the work that Worldbuilders does for people, it really resonated with me. To be able to make an immediate difference in the lives of people who need help is…the best. I could describe it with a list of adjectives but “the best” really sums up the core of it. And it feels good to help. I just like to help. I could only donate $20 – I really wish I could afford more, but I’m a student in my final year of university (in the UK), and I think you know better than anyone how poor you can be in university. What you’re doing, all of you, is really incredible. There’s so much evil in this world; capitalism destroys lives and I won’t pretend that charity can fix that, but this is really something. It makes a difference. The thought put into the structure of this charity; beyond just throwing money at a country with little regard to what effect it does or doesn’t have. It’s truly evident that this was designed with kindness and integrity in mind, not ego. I really hope you continue with Worldbuilders for many years to come. I hope in a few years I’ve managed to carve out a decent life for myself, so one day I’ll have enough to give a lot more (and buy a lot more, the stuff in the auctions are cool as f***). Thank you so much, for everything you’ve done. You always thank the rest of us, but seriously, well done you. You’re a good man. This is my first year donating to Worldbuilders, but my wife and I have donated for Giving Tuesday the last couple of years. This year we decided to include our three-year-old for Giving Tuesday this year. We explained several different charities to her and she got to pick two. One of her choices was Worldbuilders, which she chose because she thought giving goats and chickens to people was fun. I’m glad she chose this and we were able to help out those in need. Hi, I have supported your charity for a few years now all the way from the U.K.
And I always will, if i’m able. This is my second year donating to Worldbuilders and I see myself continuing to donate in the years to come. I watched one of the videos last year about Heifer International and I love that their goal is to provide assistance and education that is self sustaining. I like knowing what my donation is going toward and how much a family can get out of it. I don’t feel that I have to worry about my money going to a big corporation or being used in inappropriate ways. I love that even small donations can have a big impact. I love that you do this fundraiser every year and it feels great to be part of “geeks doing good.” Last year I won a proof copy of The Silent Army by James Knapp. I wasn’t expecting to win anything but I have to say, when it came in the mail I was overwhelmed by just how freaking cool it is! So, thank you so much for all that you do and keep up the great work! This is such a great cause! I give what I can every year and it feels so good! My husband was unexpectedly given a bonus. Instead of buying our 5 kids more Christmas presents, we’ve decided to give some to others in need. Thanks for being such a great person, Pat. You have helped so many—not only those who receive, but those who give as well. We love reading about characters who start out feeling helpless but learn to unlock magical power. In doing so, our heroes feel they can finally impact the world around them. But why magic? I think it’s because magic magnifies a tiny effort into a massive impact. That’s what makes it so transformative to those who feel small or weak. Think a thought, say a word, or move a stick and suddenly the world stops pushing you around. That’s how I feel every time I donate. Whether I’m donate furniture and clothes, money, or my time and effort, I feel like the impact is so much greater than what I give. The reason I look forward to this particular donation each year is because you’ve done such a great job at allowing us to feel the huge impact our small donations have. Your blog posts back in 2014 moved me to donate for the very first time in my life. I’ve been chasing that magical feeling ever since. Thanks for all you do, Pat. I hope you and your family have a wonderful year. So thank you to you and all the guys at Worldbuilders, you make my life richer. Does your Twitch page says when particular streams are going to be? My girlfriend is quite curious about when -cough- one particular after-dark stream will be. Pat, your work is such a joy. I’m very glad that you share your world with us. And that stream with Wil Wheaton – my god, that was *such* important stuff. Anne was chatting about it on Twitter, and I asked her if she could please tell Wil that there were *hundeds* of ‘thank yous’ for the good and helpful things he was saying, since he said he hadn’t been viewing the chat at all. She said she’d tell him, and that made me feel really good. If you make an account at Twitch, you can “follow” Pat and get notifications when he starts a Twitch stream. 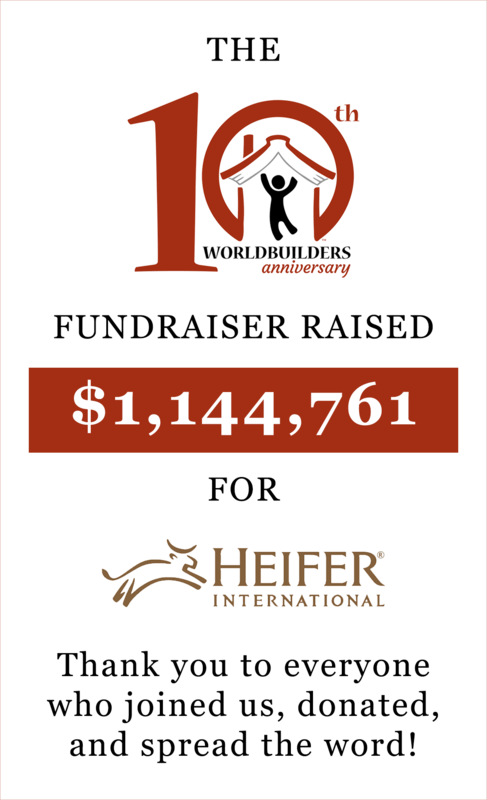 Our family donates to World Builders every year. We really like that 100% of our donation goes to Heifer and it’s a nice bonus to have a chance at winning something cool. I usually have my daughter (6 yrs going on 13) come in and we look at the pictures of some of the good things that our donation can help make happen and we talk about why it’s important to have money and to give money and not keep all the money because money is a tricky tricky thing and giving some away is super important. When the world can feel so dark at times, it is such a gift to be able to do something that feels tangible and can bring some good into someone’s life. Solving structural inequality on a global and national level is hard *deep breath*. Helping a family have a flock of ducks however, is something even a struggling grad student can manage :). I felt so much gratitude, peace, love, and warmth at being able to give. Thank you for helping us all direct our energy into doing something truly good for the world, and creating this incredible community giving. This it the third year we’ve donated to Worldbuilders – the first year we donated a flock of ducks, last year we donated some honeybees, and this morning we donated a biogas stove. In a few years we’ll have worked up to a heifer! Thank you for all the work you do to make the world a better place, despite how dark things seem, and giving the rest of us an opportunity to help out too. Words fail me. I’m so grateful that each year you bring this to my attention and remind me how good it feels to give to strangers. You’re a wonderful human, and I will always be a fan of yours for so many reasons. Growing up without sight wasn’t easy, but it is far easier to do so in a developed country. I wanted more to go on adventures in the woods or play soccer with the other kids more than anything, but was usually left out. I often found adventure and friendship in books and thanks to a series of outstanding teachers and the occasional real world friend; I came out of my shell bit by bit. I’m determined to pass on the spark I was given to others. so after living there for a year, I decided to become an English teacher in Japan. It took years before someone would give me a chance, but I finally started to work at a high school this fall, and I get to work with kids of all ages all over the community. It’s my hope that my small donation could be the vital bit of encouragement someone needs to start their own adventure. I’m normally quiet about my yearly donations to Worldviders. I also have been buying books as I can afford them from your site, knowing a portion goes to the charity. I lost my 20 year old to an opiate overdose 6 years ago. Christmas is not my favorite time of year. I have seasonal affective disorder and a now 17 year old with an anxiety disorder and PTSD. I like to think my donation is what my boy would have liked. The signed books are for my daughter. The Tak set is all for me. The wooden board is a true piece of art. Thank you for bringing some kindness to the world and making a difference to last more than one meal. Please consider coming to Salt Lake City. I was so sorry to hear about your father when you had to cancel a year or so ago. I would love to meet you someday. If I’m having a good day, and you are as well, I’d love to give you a hug. Being an Uber introvert, conventions kinda send me over the edge at times. 🤞 it will work out. Your books helped get me through a difficult time in my life. Particularly Slow Regard. I feel a bit like Auri some days. I don’t quite fit. I fake it well since I’m a nurse and have no choice. I’m a good nurse, as long as it’s one on one.